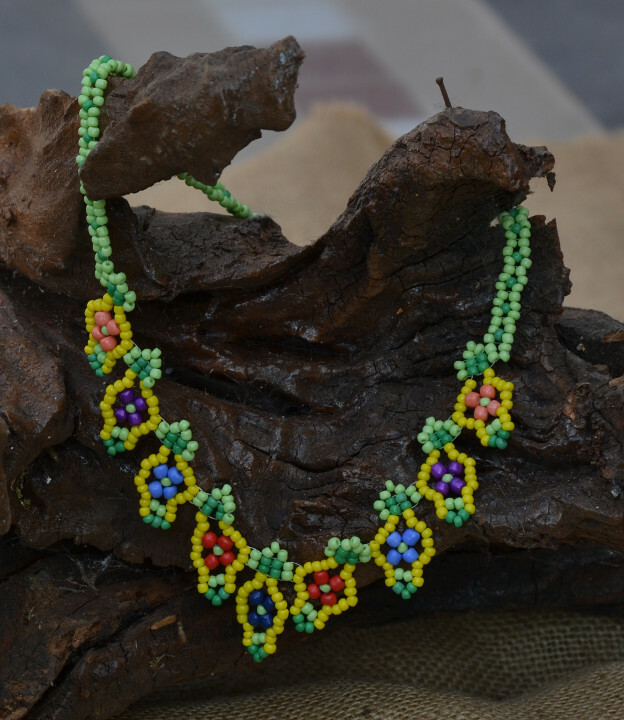 This is another necklace that was inspired by one of Sandra Halpenny's patterns. It was great fun to make. It has an elegant v-shaped neckline.